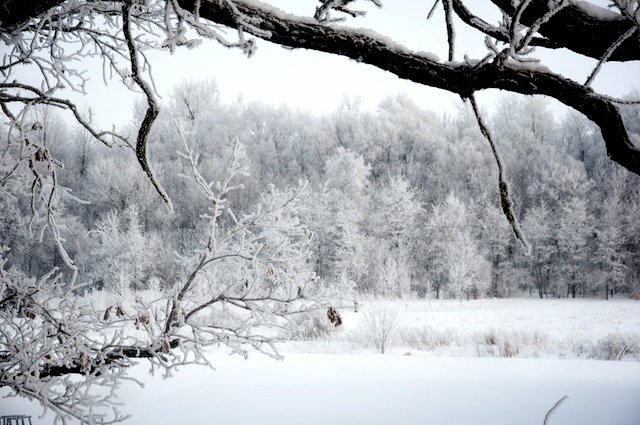 Just wanted to share photos of beautiful winter morning here from in MN! looks like paintings, like Bob Ross's beautiful work! White trees looks so magical and unreal, I felt like I was in a snowy wonderland! 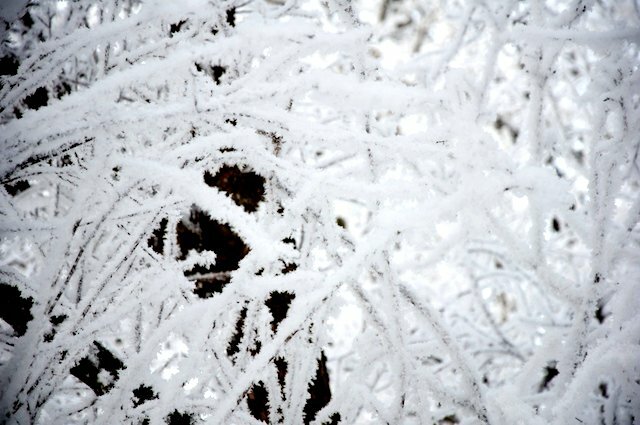 close up of the frozen branch, sooo fluffy and pretty! will have more products review and tutorials soon!! omg i wish i lived here you did! those are beautiful pictures!! When I lived in MN, the snow never looked like that, but then again I didn't live in an area like that. Too many homes around. It's beautiful. Now I live in CA, so I do not get the four seasons anymore. whoa ur in minneSNOWta! my bestie leaves there, lol she hates when i complain about atl being so cold. wow, that looks just like a movie, soooo gorgeous! Wonderland indeed...it is gorg. =) Love those contacts on you! It's so beautiful. Thanks for sharing with us:) I wish I can experience the snow. Beautiful photos! 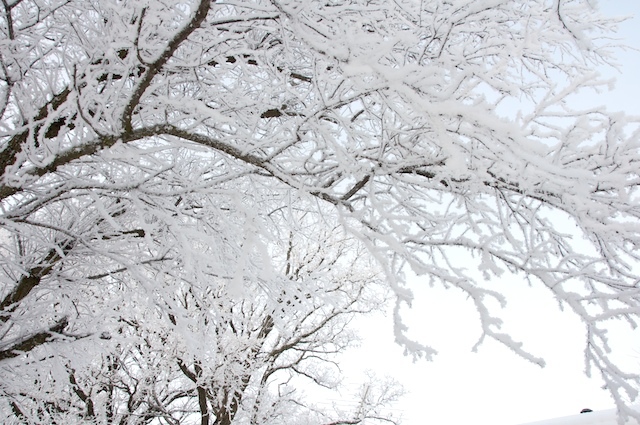 I wish I could see snow like that someday! 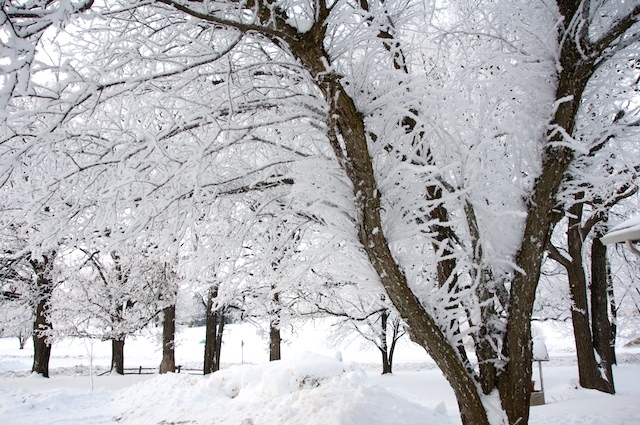 I have never seen trees with snow like that. It never snows where I live so it must quite magical. And you look so pretty with those contacts. oh my gosh so pretty!!! i sure miss the snow! Your snow is much nicer than the UK stuff! MN is a beautiful fairy land in the winter, and what's more, you guys can drive in it! YAY! You uploaded some winter-wonderland pictures!!! You're right! They DO look unreal =P *sigh... I wish I could see that in real life. But I'd probably get bored and annoyed with having to drive in the snow real quick >_< hee x2! Take care Eki~! Yay~ I can't wait till your next blog. :3 Your blog became a must-check almost daily for me! The efforts you put in to maintaining this blog is so staggering~ Let me send my admirations over to you as well as the <3 and appreciation for all of your efforts! ^___^ Stay healthy & warm! In Germany, the car you are driving would cost 83749283797 million euros for taxes && fuel only! XD! We had much more snow than ever this year and it was so beautiful~ sadly, everything has melted away already. And the barbie violet looks really pretty on you! =) It doesn't seem as bright as the blue one! wow that is gorgeous! i wish it snowed like that down here!!!! You look like a doll hehe.. So Kawaii ne!!! Wow looks so beautiful at your place!!! It must be really really cold. 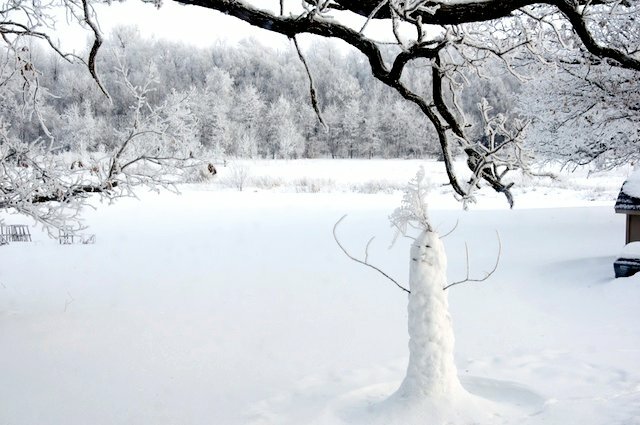 *hugs for warmth* Your snowman is cute. He looks really cold too lol. I should knit him a shirt <33. As for the lens, I think you should try the Barbie King Brown's hun! They look so sparkly lol. I'm just worried about the comfort level of it though. Wow, It's soooo pretty. We never get snow here in Louisiana. It's 70 outside, haha! I love snow. Thanks for sharing! 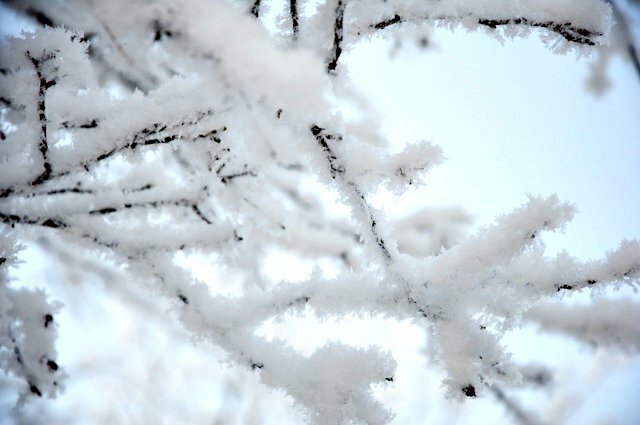 The pictures are very beuatiful, now I wish Germany more snow again, hehee xD The frozen branch looks really awesome! That is gorgeous! I've never seen any landscape like that in person in my life! LOL! So beautiful! I love all of the beautiful pictures you've taken. THe snow looks like something out of a movie or something, doesn't even look real it's so pretty! Gosh everything looks so gorgeous! How do you drive in the snow? LOL.. it's a dumb question but when TX got snow we were like... OH NOO WE'RE GONNA DIEEE!! Hi Eki, I LOVE YOUR BLOG!! but I was wondering if you've ever used i. fairy lenses? I would really like if you were to do a review of them!! I'm so scared to try lenses, but I've heard that these are really comfortable lenses! Please, if you could, do a review! I would truly appreciate it.